Talent mobilisation – getting the right capabilities to the right work at the right time in the right place – is a hot topic for today’s business leaders, as they face an increasingly global workforce with less traditional boundaries, greater fluidity, and increased diversity. Organisations need innovative deployment models to manage the global supply and demand of talent and to close gaps between opportunity and capability. The global mobility team within HR, with deep cross-border talent expertise, could be a key business partner in working to solve these challenges and enabling broader organisational goals. To do so, however, mobility must be agile, business-aligned, and focused on the strategic mobilisation of talent around the globe. This is easier said than done. Deloitte surveyed leading global companies on the evolving role of global mobility in achieving strategic business and talent objectives in 2012 and again after two years. Despite continued strong agreement on the need to align mobility to the business, and committed efforts to move in that direction, the survey results reveal that participants rating their programmes as “world-class” have only risen from 2% in 2012 to 8% in 2014. How can there be so little progress when so many companies and leaders are investing so much into improving mobility programmes and practices? We discovered two different, yet related, answers to this question. First, it is not that mobility is not advancing the ball down the field, but rather that the goalposts keep moving. In other words, the expectations of mobility programmes and professionals keep evolving. The global economy is experiencing fast and fundamental changes, including transformations in the very nature of work, the workplace, and the workforce. Global mobility teams are hard-pressed to keep pace with these strategic changes, while also keeping up with the changing compliance and regulatory landscape. Second, the investments in global mobility tend to focus on optimising or transforming programmes and processes. To be sure, this kind of work is important for creating more effective and efficient mobility functions. But such an approach often falls short of creating the true strategic business partner that so many leaders agree is needed, because it does not achieve true strategic business alignment. To effect strategic change, global mobility must become aligned with broader business and talent strategy; global mobility must also become more agile to respond to new and unanticipated challenges. Leaders are finding success when they draw on their global mobility team’s cross-border knowledge to partner with other areas of talent and business to address broader priorities, such as growth, leadership succession, risk management, margin protection, talent development, diversity and inclusion, and innovation. Only then will mobility be prepared help solve both today’s and tomorrow’s challenges. In a recent study sponsored by the UK Government’s Commission for Employment Skills, the German consultancy Z_Punkt examined future challenges and opportunities in the labour market, including implications for jobs and skills. The report highlights five global megatrends transforming business and work, summarised below. These are precisely the kinds of challenges moving the goalposts for mobility and facing leaders as they prepare for tomorrow. Economic power is shifting to emerging economies. The high-growth opportunities of these markets will drive workforce migration, mining for capabilities and skills, and growth in knowledge workers far beyond today’s dimensions. The digital transformation, including the ubiquitous communication and access to information it enables, will further decentralise work activity and production. Shifting roles in value creation are producing a more complex business ecosystem. Successful companies will orchestrate talent inside and outside the organisation and will coordinate a “swarm” of value partners operating in virtual and fluid project teams. Organisations and employees will need to be more flexible. As younger generations balance work and life priorities with employers’ needs, organisations will need to rethink job incentives and rewards. Key elements of the “traditional” employee-employer relationship will change. Demographic shifts, global migration, and generational differences will drive expanding diversity in the workforce. In short, the global business landscape is becoming more dynamic, workforces are getting more diverse, and there are more ways and places to perform work than ever before. These megatrends and their implications are already affecting how organisations manage their global workforces and are sure to have an impact on the mobilisation of talent. These sweeping global changes are affecting global workforce management, with a subsequent impact on mobility. Providing data-driven mobility insights and workforce analytics to drive smart business and talent decisions for cross-border staffing. 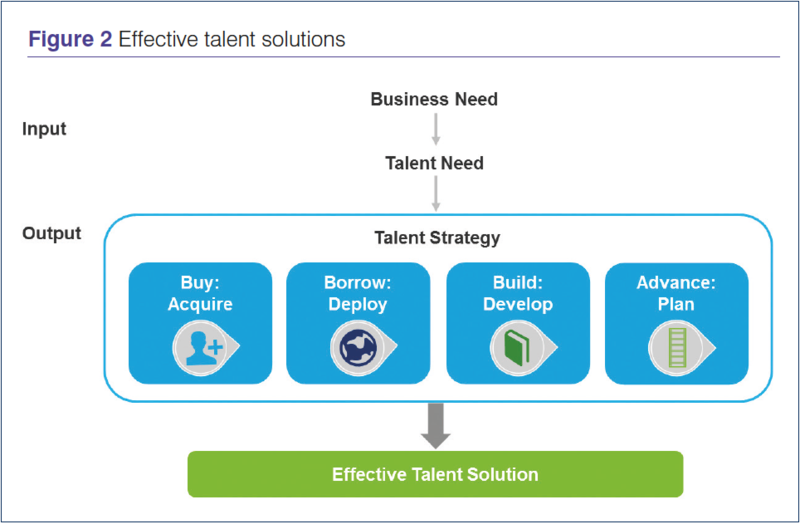 Partnering with enabling talent functions to support an integrated view of talent supply and demand, and the identification of enhanced build-buy-borrow solutions to close talent gaps. Supporting and influencing the organisational diversity and inclusion agenda by enabling diverse individuals to participate in mobility and reaching and growing new and diverse talent. Together, these opportunities imply the need for a broader vision of “mobility” for the future. 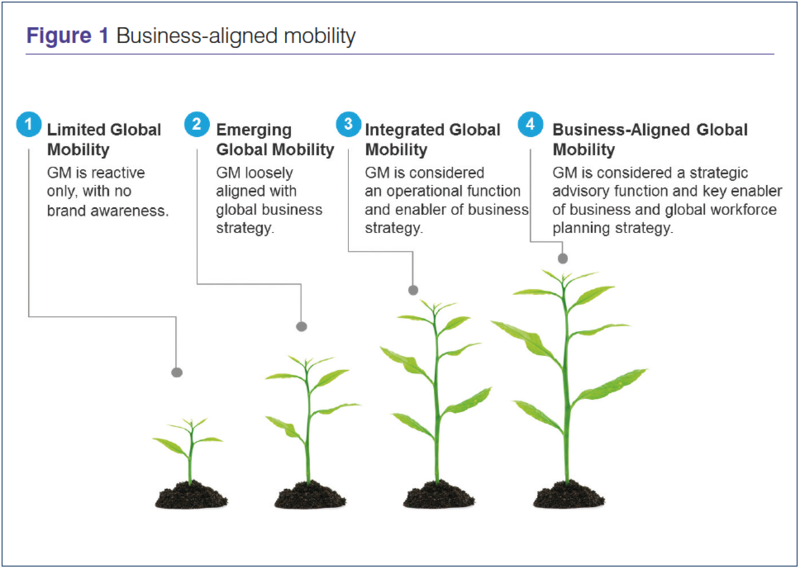 Like many corporate functions, the mobility function has long strived to evolve from a reactive, operational role to a proactive, business advisory role (Figure 1). In anticipation of tomorrow’s challenges, how can mobility and talent leaders create a more disruptive pace of change and close the large gap between current capabilities and expectations? The answer will take the collaborative effort of all the enabling talent functions. Organisations that aim to move the needle faster can integrate the four sub-functions and their programmes as part of a holistic talent strategy (Figure 2). This allows them to evaluate and pull the four “levers” of acquisition, mobility, development, and succession planning in the right combination, to deliver effective talent solutions that address current and future business and talent needs. Each of these talent levers involves some trade-offs amongst the criteria of fast, affordable and effective. For example, a “mobility solution” to fill skill gaps may be faster but also more expensive and less sustainable than a “development solution”. Making prudent decisions requires both strong business insight and deep understanding across the four areas. 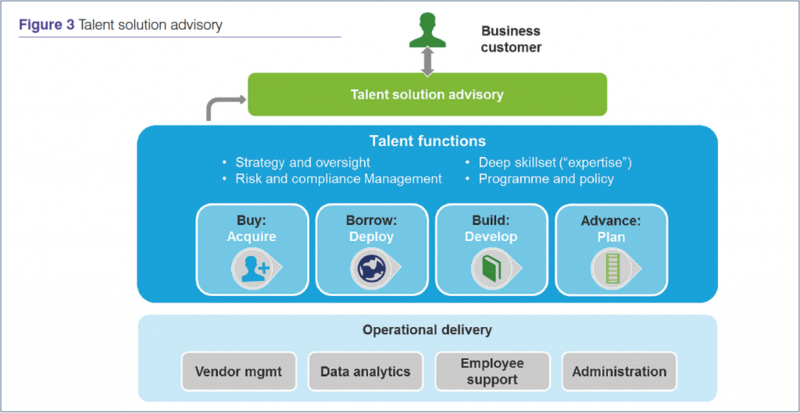 A talent solution advisory function or role that can bring forth the functional capabilities of all four areas to address the business or talent needs from an holistic perspective can fill that gap (Figure 3). Such integration at the advisory level enables an organisation to leverage and share functional strengths and resources and, most importantly, deliver effective talent solutions. For example, one of the strengths of mobility functions is transitioning employees (and their families) into new cultures and ways of working. Applying that same competency for coaching employees through other complex transitions can be valuable in other areas, such as inducting new employees or equipping employees to perform effectively new leadership roles as quickly as possible. Leading organisations are beginning to see signs of success as they address new challenges and unanticipated changes in the workforce and workplace by leveraging mobility more strategically. Greater collaboration and integration is key, especially in impacting broader business and talent priorities such as deployment and staffing development, learning and development, global diversity and inclusion, leadership and succession planning, new market entry, mergers and acquisitions, and business analytics. Successful leaders start with why global mobility matters to their organisations, and then define an enterprise talent mobility strategy, including how mobility can best enable broader business and talent goals. The strategy then guides the design of mobility programmes and services, as well as lays the foundation for further integration with other talent functions to achieve strategic mobilisation of talent. Leaders need this kind of business-aligned mobility to prepare to address tomorrow’s business and talent challenges today. This publication contains general information only and Deloitte is not, by means of this publication, rendering accounting, business, financial, investment, legal, tax, or other professional advice or services. This publication is not a substitute for such professional advice or services, nor should it be used as a basis for any decision or action that may affect your business. Before making any decision or taking any action that may affect your business, you should consult a qualified professional advisor. Deloitte, its affiliates and related entities, shall not be responsible for any loss sustained by any person who relies on this publication. Copyright © 2015 Deloitte Development LLC. All rights reserved.